Dr. Elizabeth Carter is a Chiropractor, Naturopath, M.D., and PhD (c), who has served the Main Line and Philadelphia area for 18 years, specializing in pediatric, pregnancy, and nutrition. 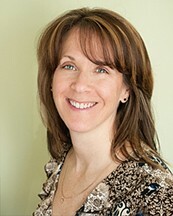 Her practice, Restorative Health Center, is based in Exton, PA. Dr. Carter believes in comprehensive healthcare that gets to the root of a problem while it is still manageable and utilizes naturopathic healing strategies along with chiropractic services to promote true bodily and mental health. With her diverse background in professional dance and her passion for outdoor adventure, Dr. Carter is well versed in movement, natural body connections, and the power of holistic healing. In the case of estrogen, thermography offers another unique piece of information. Thermography can help identify Breast Specific Estrogen Dominance. This is different than systemic estrogen dominance in that it occurs specifically in the breasts and may or may not be systemic. Breast Specific Estrogen Dominance produces vascular changes similar to pregnancy and lactation. These changes are distinctly different than those of cancer and can let us know whether or not breast specific estrogen dominance exists and whether or not it is currently elevating the risk for developing breast cancer. If identified, thermography can then be used to monitor the effectiveness of intervention. The Best Breast Test: The Promise of Thermography. 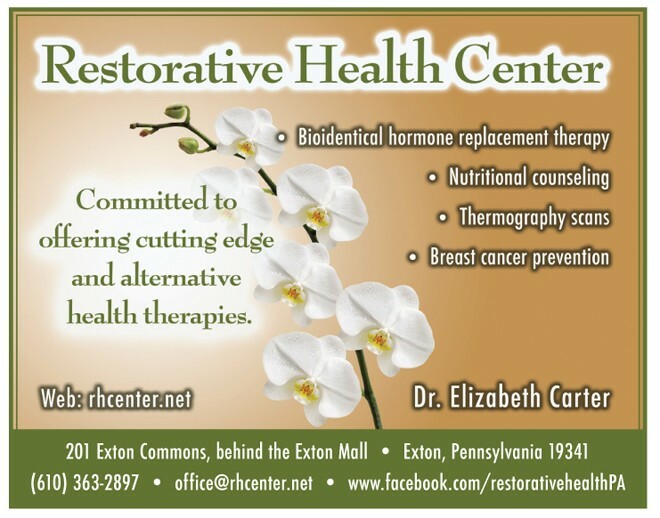 Restorative Health Center is located at 201 Exton Commons, behind the Exton Mall. For hours, questions and to schedule an appointment, call (610) 363-2897, or email us at office@rhcenter.net. Further information is available at www.rhcenter.net. Next Story → What’s Bugging You?